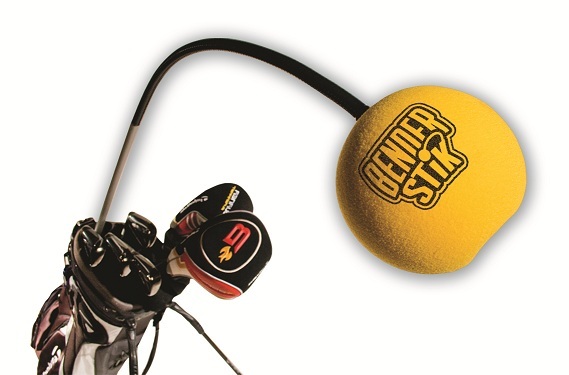 Uniquely designed to help players build a consistent golf swing that can last for a lifetime, the innovative Benderstik—one of the most elegantly simple and versatile training aids ever developed—is now available nationwide. Strong demand generated by the product’s recent soft launch warranted a full-scale marketing campaign to put the Benderstik in front of millions of golfers. Soon, the distinctive yellow foam ball affixed to the top of a flexible shaft will increasingly be seen sticking out of golf bags and the ground at practice ranges around the country. 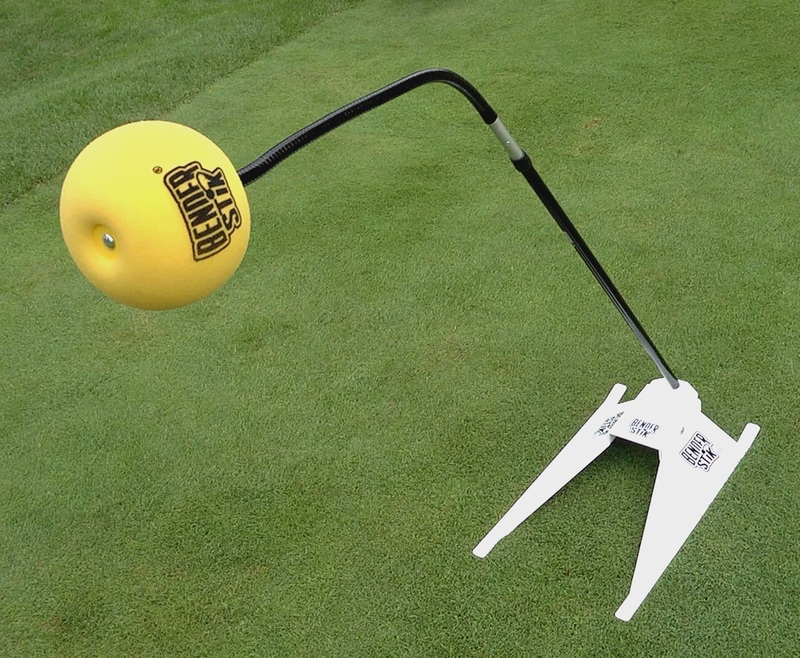 This is a device that provides the kind of feedback that Benderstik Inventor and Master Instructor Mike Bender says leads to “perfect practice,” where the carrot is a smoothly sublime golf swing and the stick is what helps a player develop it. The flexible Benderstik is easily positioned to influence at least eight major elements of the golf swing—from takeaway to a hip turn and follow through—essentially imparting “practice range truth” to what a player thinks he or she has learned in a lesson. That is, unless that part of the swing is executed properly, the yellow ball will interfere with the arms, head or hips. A swing that doesn’t contact the ball begins to build the muscle memory of a proper takeaway, plane, downswing and follow-through. Head of the Mike Bender Golf Academy outside of Orlando, the Iowa native has long been an inveterate tinkerer. As a child, Bender dismantled and reassembled radios, bicycles, televisions, and just about anything else on which he got his hands. That mechanical aptitude is part of the Benderstik’s genetics, a training aid that also hinges on a specific style of learning. There are three main styles in which people learn new things. Auditory learners pick up things most quickly through verbal communication. Visual learners do best by seeing charts, diagrams or films of themselves or others. Tactile leaners respond best to a “kinesthetic” sensation, or actually performing a task or motion. The latter is the other piece of the Benderstik’s origins. “At the start of my career in the early 1980s I had what I thought was a good swing, until I saw what I was doing on video,” explains Bender. “My takeaway and backswing were way too vertical, and I had a high finish like Jack Nicklaus, because he was the best in the game. I, of course, wasn’t Nicklaus, and needed to start with a backswing more like that of Doug Sanders. But after a week of practice with what I thought was a new swing, I’d come back to the video and see that it didn’t really change. Feel, as Greg Norman once said, is not necessarily real.” Thus, both the auditory instruction and visual reinforcement of the video were failing Bender. A jury-rigged system of sticks helped the young professional mold an on plane and repeatable swing, which eventually led to the new training device. What the Benderstik provides is negative feedback; that is, swing incorrectly and the foam ball is bumped, harmless but instructive. “Many training devices, including those with straps, provide positive feedback,” says Bender. “But you learn three to four times faster from negative feedback.” The device is thus a tool for creating instant feedback showing that a particular element of a swing is correct, by far the most efficient way to engrain it into a repeatable motion. The Benderstick works in a golf bag and on a stand. A solid, quality product, the bottom half of the Benderstik is rigid, and comes with a screw-in spike for use on grass. (A separate stand is also available.) The upper half, which screws into the base segment, is made of flexible metal, which enables one to put it into the various positions that Bender describes in a DVD that accompanies the product. Golfers may also put the device in their golf bag to accomplish many of the drills demonstrated by the inventor. Among the swing faults that can be unlearned with the Benderstik are swaying, sliding, over-swinging, flipping the ball and losing one’s posture. It is best used in conjunction with alignment sticks, or a pair of clubs. Bender also believes that his device would be helpful to golf instructors and their students. “Video, spoken instruction and training aids all go together,” he contends. “I know I can’t change a golfer’s swing with only the sound of my voice. Any instructor needs a full set of tools if he or she is to guarantee results.” The Benderstik and an instructional video featuring Mike Bender retails for $99.95. For more information, visit www.benderstik.com/, or watch a 30-minute You Tube informational video at www.youtube.com/watch?v=f_b3F7MSrCk.